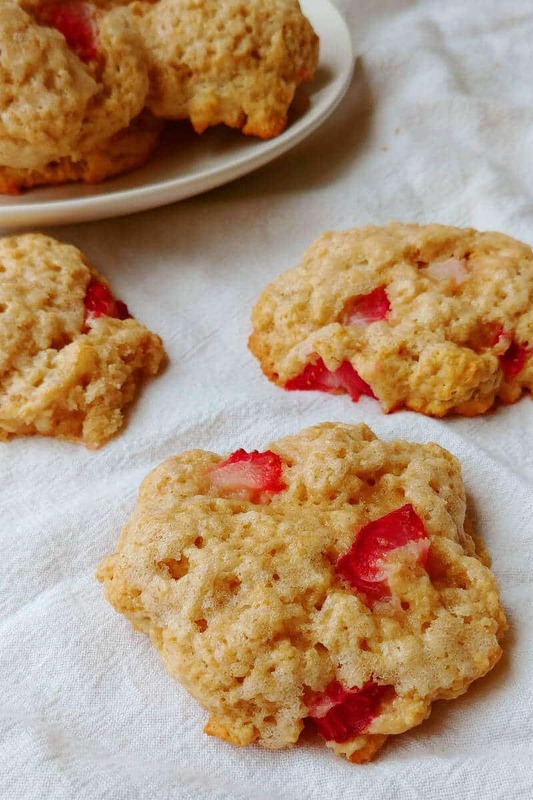 These Strawberry and Cream Scones are among my favorite scones ever. 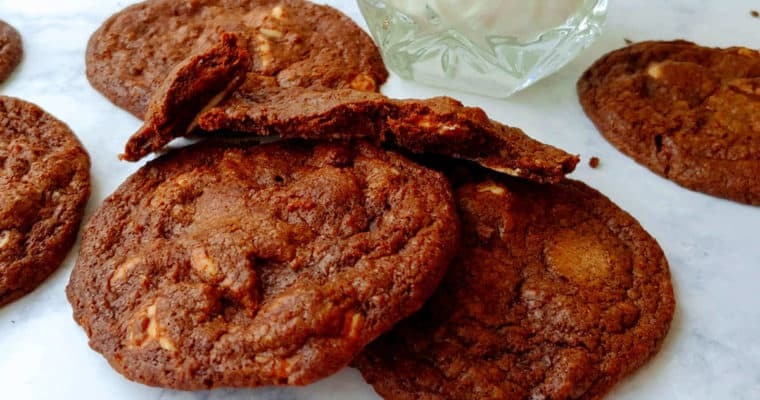 I made them frequently in 2012 when I first tried them. It’s been such a long winter this year. I figured that if spring weather wasn’t going to arrive and stay, I should take strawberries and eat them and pretend it’s spring. This helps, particularly on a blustery, rainy day. 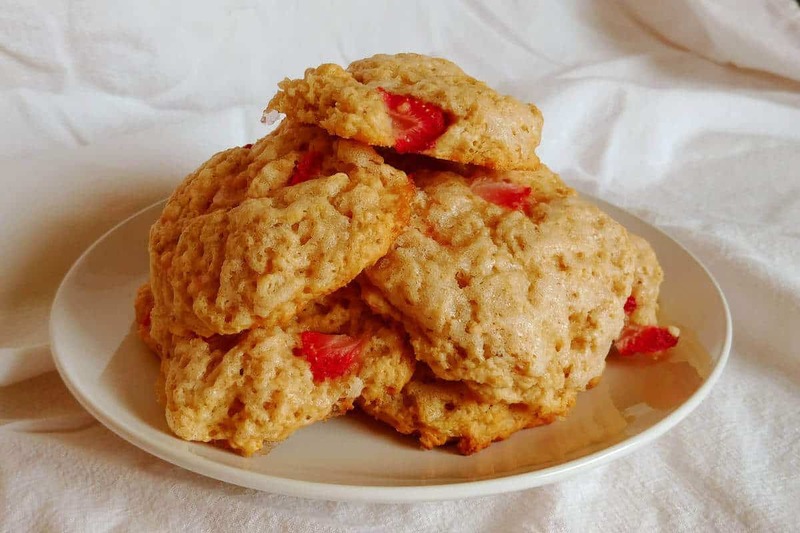 These strawberry and cream scones are really very delicious. They’re tender and moist. 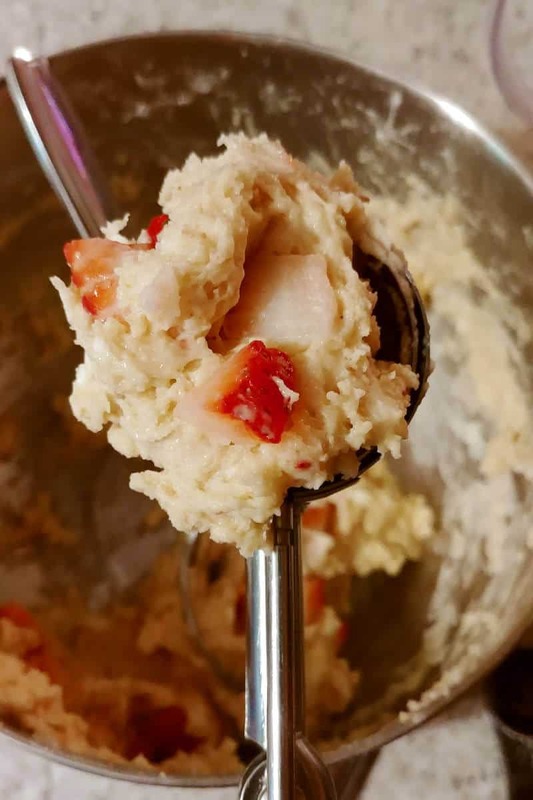 They include pureed strawberries in the dough so that the strawberry flavor subtly but clearly flavors the scone, even in the bites without diced strawberries. Dear reader, it was not as good as these. Although theirs does have the flavor of strawberry throughout the entire scone, so does this one. But my scones have a delicious glaze baked right on top of them. And their scone didn’t have little bits of strawberry strewn throughout it, like these strawberry and cream scones do. 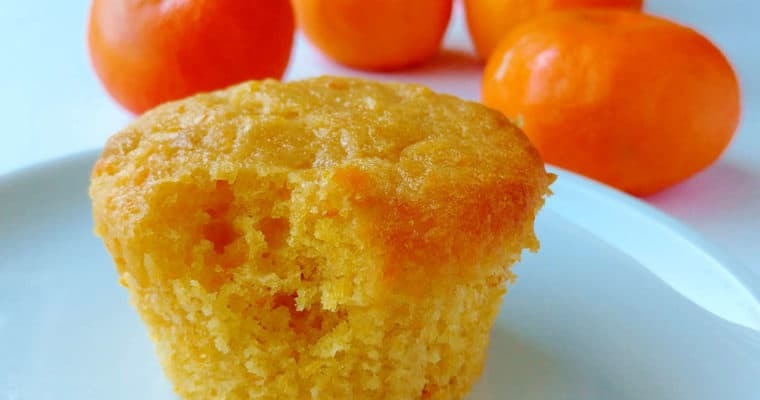 I’ve adapted this recipe slightly from King Arthur Flour. These take a little longer to get into the oven than most other scones I’ve made, but it’s worth it. The extra time is only because it involves a little dicing strawberries. First you blend together strawberries with sugar, cream, egg, and vanilla. Then you cut butter into flour, baking powder, and salt. 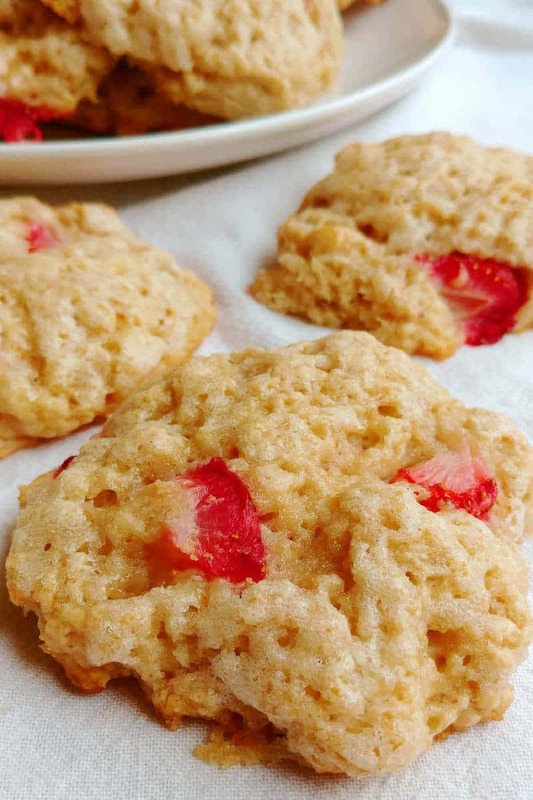 You stir the strawberry mixture into the flour, then stir in diced strawberries. Scoop the dough onto parchment or Silpat-lined baking sheets. I used a medium (1.5-tablespoon or #40) cookie scoop (affiliate link), which portioned it perfectly. The best part is the glaze that you spoon onto the scones before baking. It’s simply water, vanilla, and sugar, and it crystallizes onto the scones as they bake. I’m generally ambivalent about frosting and glaze, but for these scones it is not optional. 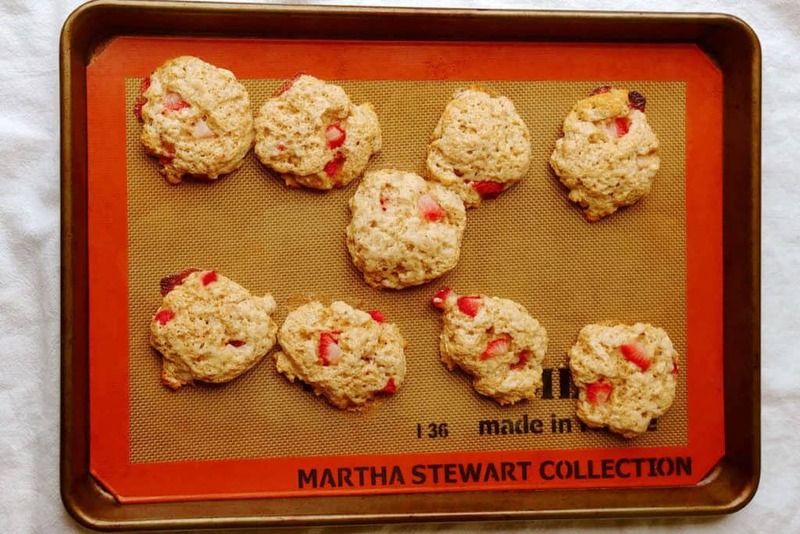 Flatten the scones as you spread a small amount of glaze on them. The quality of strawberries you buy at the store off-season can be hit or miss. It was March the first time I made these, so my strawberries were not as flavorful as they could have been. As a result, the first thing I do is blend the strawberries with the sugar, so that the strawberries can macerate and become a little juicier. The scones won’t brown except along the edges, due to the glaze on the top. 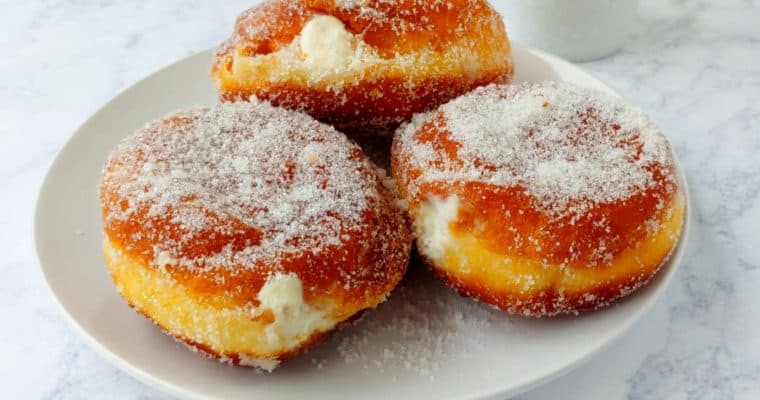 But’s that okay because the sugar in the glaze crystallizes, so they’ll still have a crisp and sweet top. 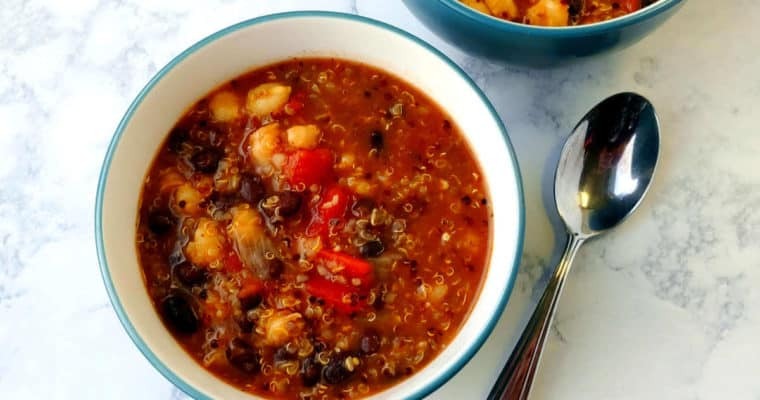 I’ve tried this recipe with raspberries before as well. So good! If you like these scones, you may also like Sprinkle Scones or Strawberry Coffee Cake. Strawberry Bellinis would be a fantastic accompaniment. 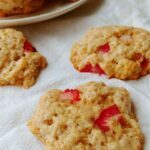 These strawberry and cream scones are tender and moist, with bites of strawberry strewn throughout and blended strawberries in the batter. A delicious vanilla glaze is baked on top of the scones for a little crunch. 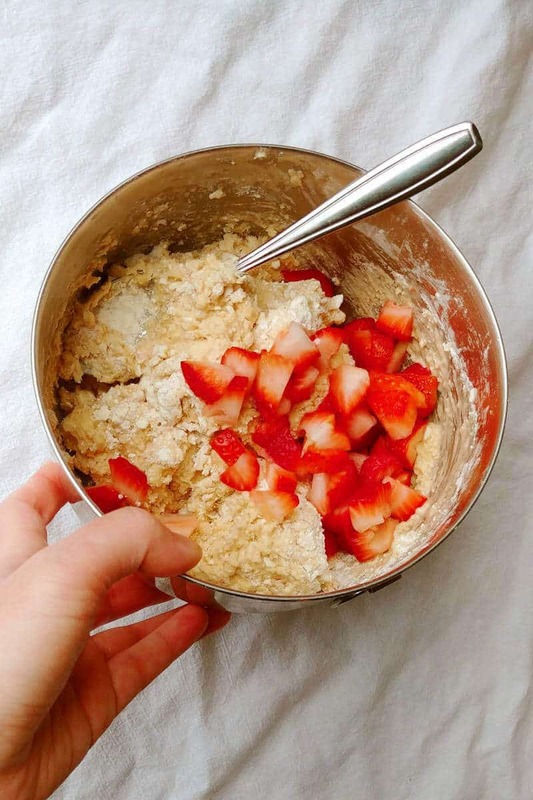 In a food processor or blender (I use my bullet blender), puree 1/2 cup strawberries, sugar, cream, egg, and 2 teaspoons vanilla until just combined. (You don't want to whip air into the egg, so don't over-process.) Set aside. Add the blended strawberry mixture, stirring until the dough just comes together. Fold in the 2/3 cup diced strawberries, and mix until just combined. The dough will be sticky. 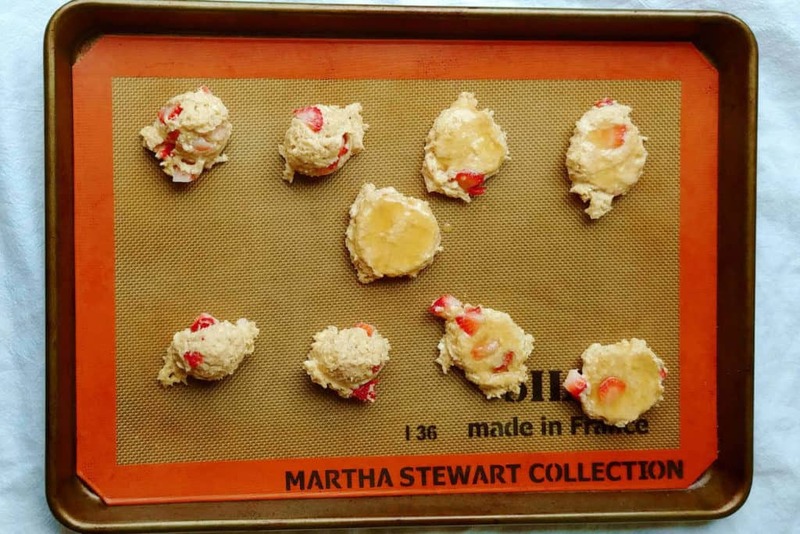 Use spoons or a #40 scoop (1 1/2 tablespoons) to scoop the dough onto two parchment- or Silpat-lined baking sheets. (If using the #40 cookie scoop, make the scoops mostly level.) You will flatten these, so don't overcrowd. Mix together the sugar, vanilla, and water to make a gritty glaze. Spoon a small amount on each scone and flatten it out. You'll want at least 1-2 inches between each scone once they're spread out. Bake at 375F for 14-16 minutes, until the edges are starting to brown. If baking two sheets at once, place the racks in the top and bottom thirds of the oven and rotate the pans' positions from top to bottom halfway through baking. Serve warm. 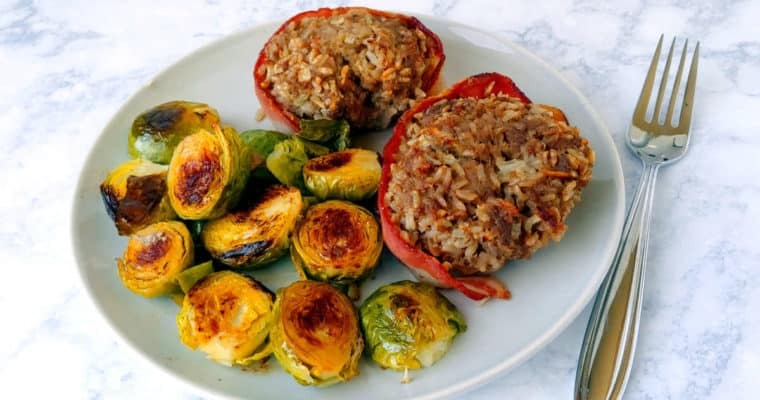 Store leftovers in an airtight container and reheat briefly (5-10 seconds) in the microwave. Scones are best the first day, but are still moist after a day or two. This recipe should work with raspberries, too.